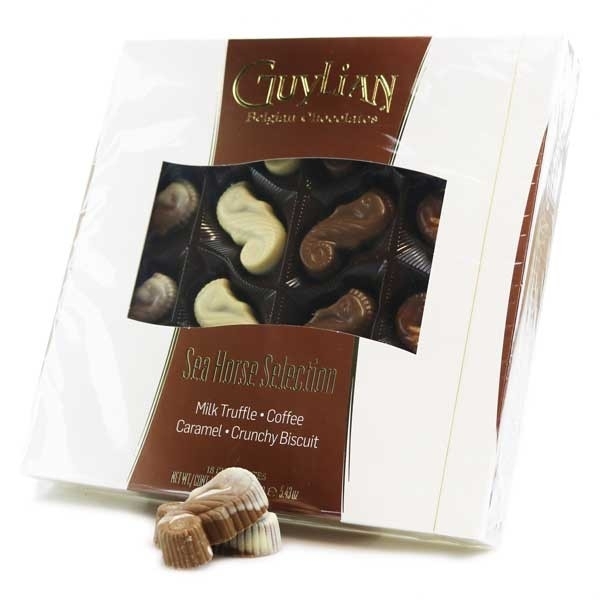 From the word's favourite Belgian chocolatiers, a wonderful box of iconic sea horse shaped luxury chocolates. The finest Belgian chocolate made with 100% pure cocoa butter and filled with delicious Crunchy Biscuit, Caramel, Coffee and Milk Truffle flavours. Guylian are fantastic supporters of the marine world and every time you buy their chocolates you are supporting Project Sea Horse, an international Marine Conservation Organisation.